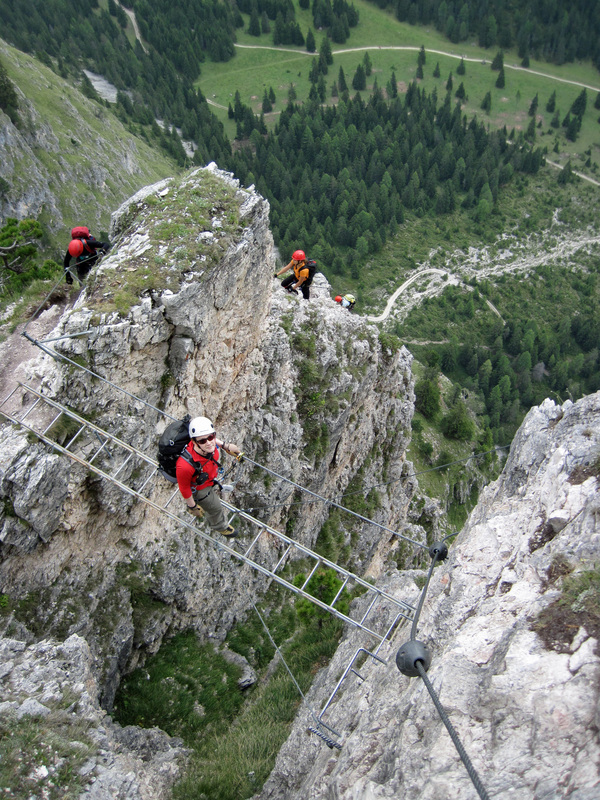 Valerie on the bridge on the Via Ferrata Sandro Pertini in the Dolomites, Italy. If someone asked me what causes accidents on via ferrate, I would only be able to make a few informed guesses. This is because there is surprisingly little readily accessible information on why accidents happen on vie ferrate. This concerns me because understanding why the cause of accidents is essential to preventing them. I’d like there to start a conversation about the causes and prevalence of these accidents as a way of improving understanding and helping people safely enjoy vie ferrate. As a starting point, I’ll set out what I know and suspect. 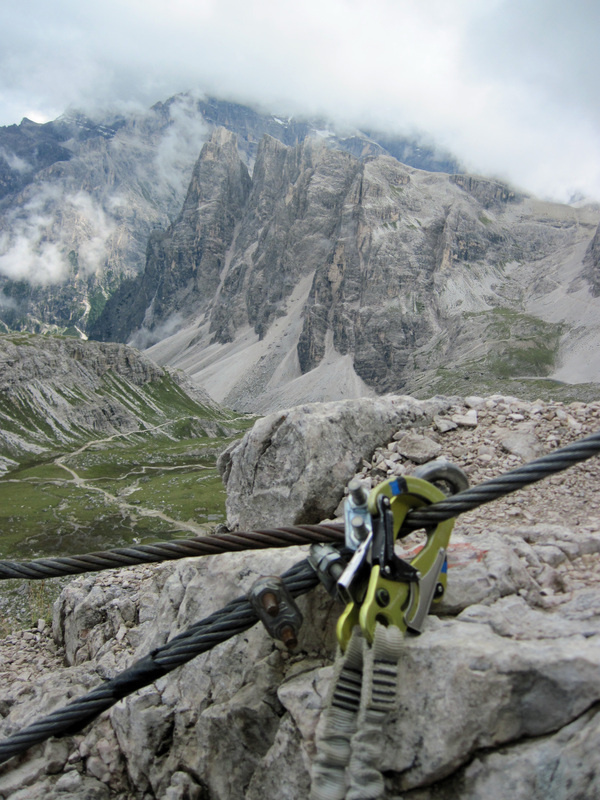 Today a group of manufacturers have issued new recalls on via ferrata lanyards. This is the second wave of recalls of this type of equipment in the last six months and relates to a different type of lanyards than in the first wave. The statements issued by the UIAA (the International Mountaineering and Climbing Federation) and the manufacturers are clear that the issues with these particular lanyards are potentially fatal. 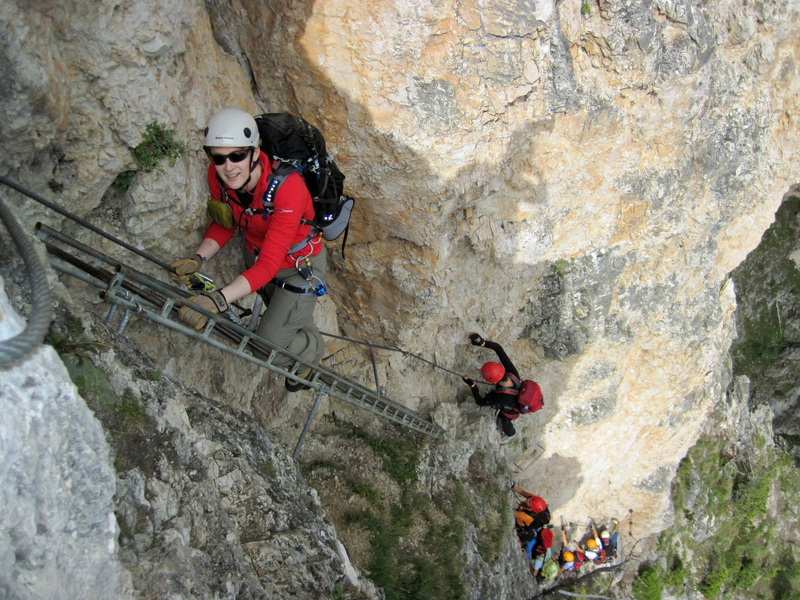 Climbing the via ferrata Via Delle Trincee in the Dolomites. A failure of crucial safety equipment leads to a tragic death. Major manufacturers issue urgent recalls of the equipment and an emergency meeting of the industry body decides to review safety standards. If this were a story about a major consumer product, it would be major news. It’s not. 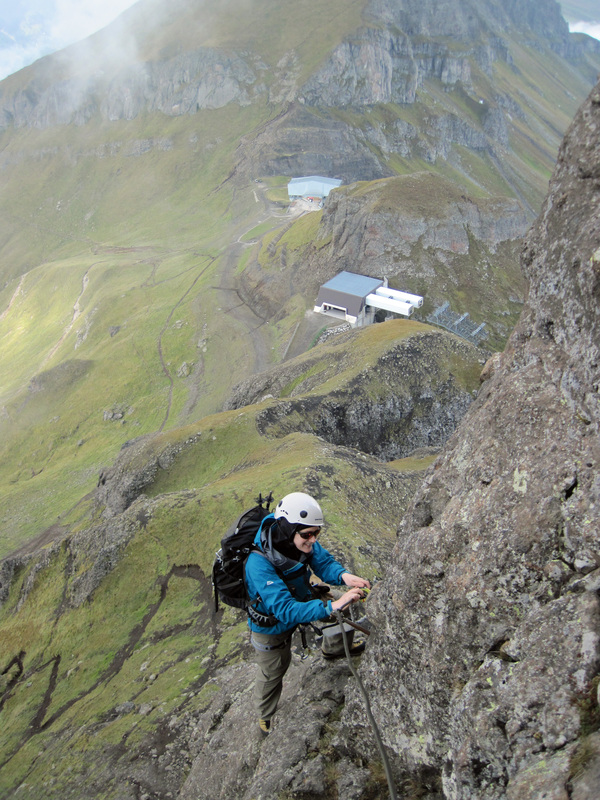 This is a story about a piece of specialist mountaineering equipment – via ferrata lanyards. For this reason you won’t find this story mentioned outside the specialist press. It’s a story with a lot of the features of a crisis. Although the response to it has been swift, it raises all sorts of questions about the regulation of mountain sports and the accessibility of the mountains to the public. It’s been reported that an emergency meeting of the Safety Commission of the UIAA (Union Internationale des Associations d’Alpinisme – International Mountaineering and Climbing Federation) will be held this week because of concerns over the safety of via ferrata lanyards from several manufacturers. A couple of weeks ago Edelrid recalled some of its via ferrata lanyards after a fatal accident on a via ferrata in Austria. Since then, manufacturers Wild Country, AustriAlpin, Singing Rock, Climbing Technology and Edelweiss have all issued their own recalls on their via ferrata lanyards. Apparently, initial research is suggesting that grit in intensively used, elasticated lanyards abrades the nylon and causes the lanyards to fail to hold a falling climber. I did a post on the original Edelrid recall as I think it is intriguing how much trust climbers and mountaineers put in the equipment they use and the people who make it. My feeling is that we can probably trust manufacturers to warn us if our gear is potentially unsafe because of the premium their customers put on safety. 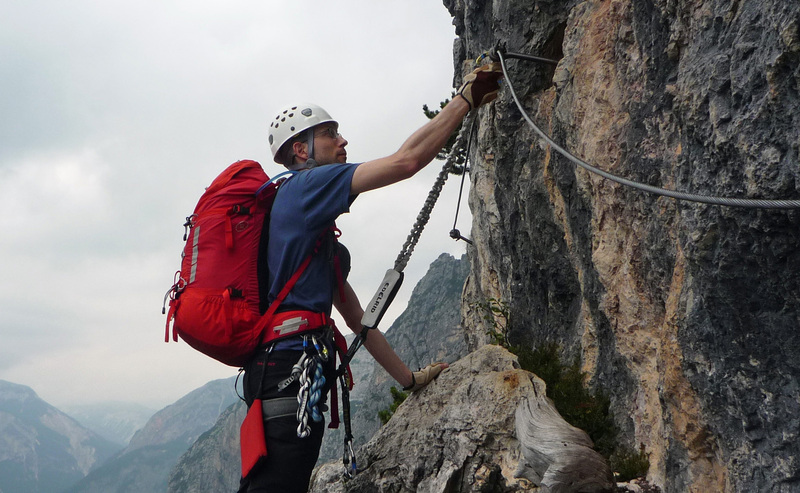 Earlier this week equipment manufacturer Edelrid issued a product recall for a selection of their via ferrata lanyards. This recall follows a fatal via ferrata accident a couple of weeks ago. Apparently, investigations have so far established an association between increased use of these lanyards and a weakening of their elasticated webbing. As the Edelrid lanyards involved in this accident had apparently been rented, it is quite possible that they had seen greater than usual use. However, the actual cause of the accident has not yet been established and Edelrid have issued the product recall as a precaution. Using my Edelrid lanyards on the Via Ferrata Michielli Strobel. © 2012 to present Robin Van den Hende. All rights reserved.